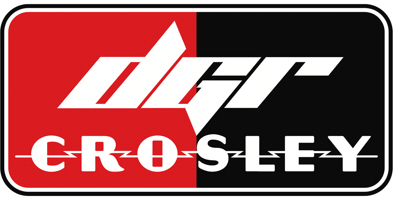 MOORESVILLE, NC (February 13, 2019) – DGR-Crosley announced today that Anchor Real Estate, LLC has partnered with the team as a major associate sponsor for the 2019 season. Anchor Real Estate will support all DGR-Crosley racing efforts including the Gander Outdoors Truck Series, ARCA Menards Series, NASCAR K&N Pro Series and late model stock cars. Anchor Real Estate is a Mooresville, N.C., based real estate firm that was established in 2015 by Josh Tucker and Greg Biffle. Tucker, managing partner and broker-in-charge, has over 10 years of working experience with some of NASCAR’s leading teams and drivers. Biffle, a managing partner of Anchor Real Estate, has been involved in the firm since its inception in 2015. He takes pride in being an avid real estate investor, owning multiple residential and commercial properties throughout the Lake Norman area. Biffle had an extensive career as a highly successful racecar driver. He has 837 career NASCAR starts, with over 500 of those occurring in NASCAR’s premier Cup Series. Amongst all three of NASCAR’s top series, Greg has won two Championship titles, 55 races and has had 377 top-10 finishes. Gilliland and Natalie Decker will proudly carry Anchor Real Estate branding on their Toyota Tundra’s in the upcoming Gander Outdoors Truck Series season opener at Daytona (Fla.) International Speedway on Feb. 15, at 7:30 p.m., ET. Tune-in to FS1 for live coverage of the NextEra Energy 250.